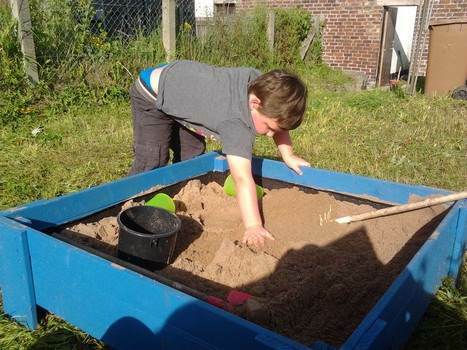 Sandboxes are easy to build with the right instructions and they become a play area where children can express their creativity. 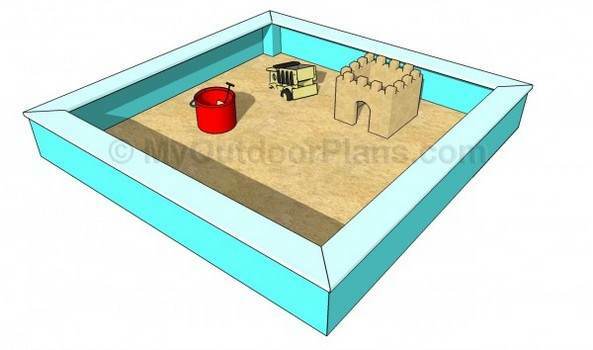 You will find lots of sandbox plans below to help you build one. To build a sandbox, first you need to know what shape you want it to be and buy the required lumber. Using L-shaped metal brackets on each corner, you can create the desired frame. If you want a bottom on the sandbox, you will want to use weed block fabric or just leave the bottom open to the ground below it. Next, you might want to add a bench by simply placing a piece of wood on one of the corners and screwing it down. 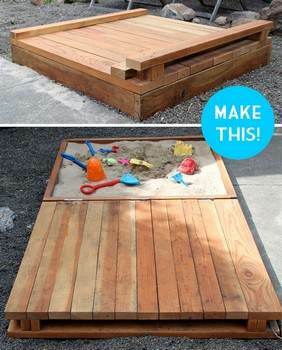 You can also make a cover out of plywood or other scrap wood cut in the same shape as your sandbox. To finish, go over the sandbox looking for any sharp points that could scratch or cut and then fill it with play sand. 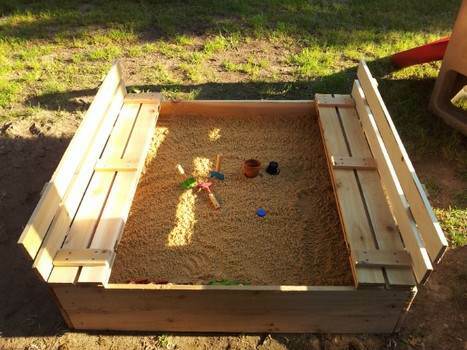 Let the summer fun begin by building this simple sandbox your kids will love. 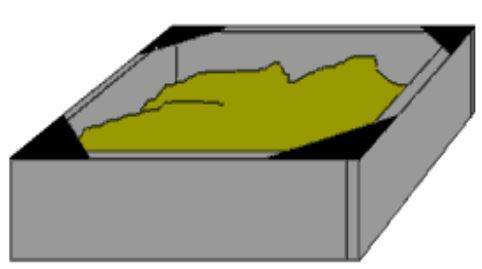 Here is a plan for an easy to build sandbox that is approximately 2 ft deep and the bottom is left open to insure proper drainage. 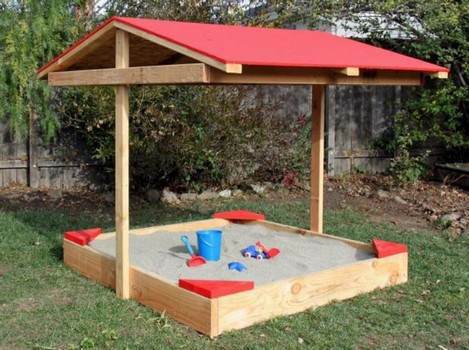 Here is an excellent project for a sandbox that offers shade and a handy shelf for keeping the kids sandbox toys. 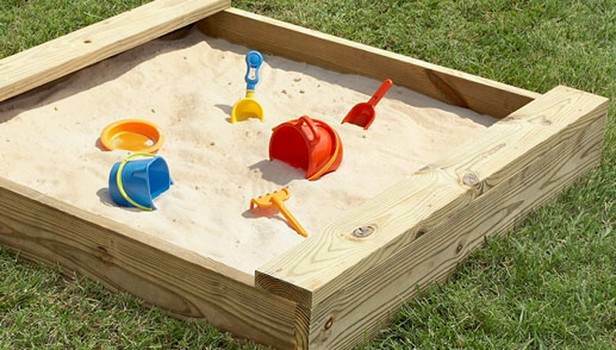 Keep kids out of the sun's harmful rays with this easy to build sandbox. 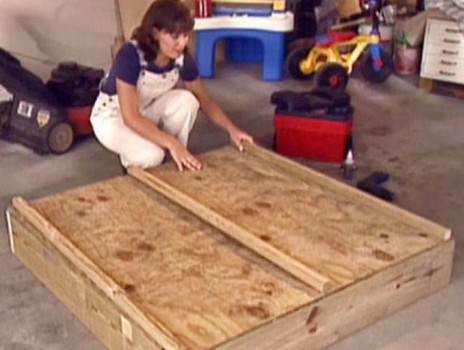 This step by step plan is for a wooden sand box with a fold-out lid that turns into a bench. 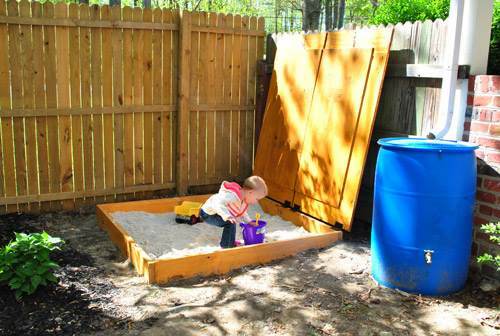 Create this strong and sturdy sandbox with a hinged lid designed to be secured to a wooden fence. 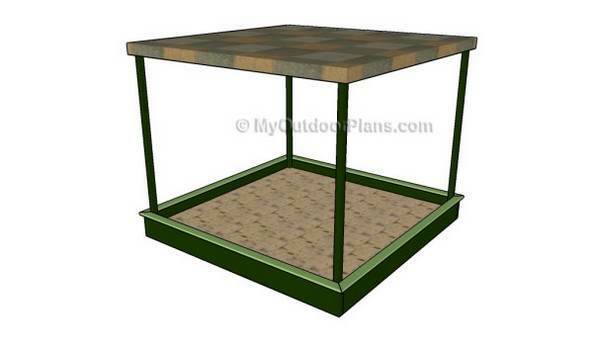 Here is a detailed plan on how to build a wooden sandbox with canopy plus a handy tie downs. 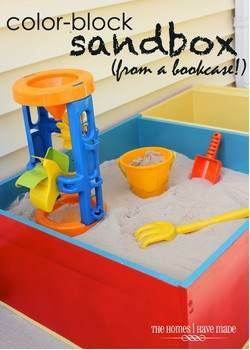 With some spray paint and a bookcase you can make this colorful sandbox with side storage. 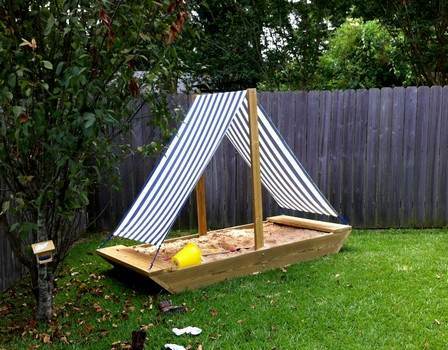 Build a wooden sandbox with a mast attached and a sail that provides shade. 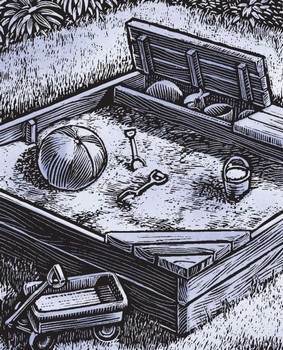 Follow these nine steps and build a simple sandbox that will hold 500 lbs of sand. 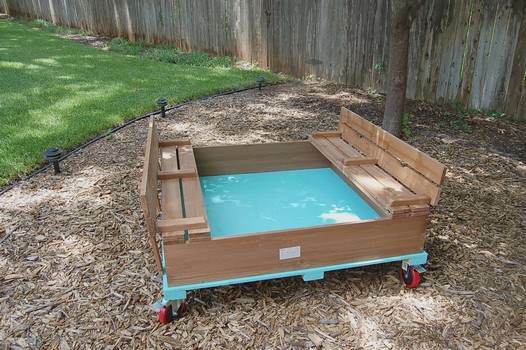 Create this well built raised sandbox with lid that will last for many years to come. 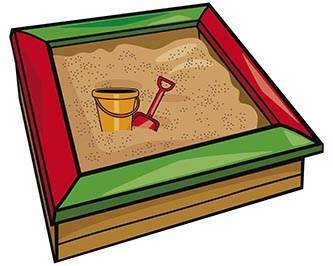 Here is a downloadable plan on how to build a sandbox with a lid that serves as a stage when closed. This project has a wooden topper and a roll-out cover to keep animals out. 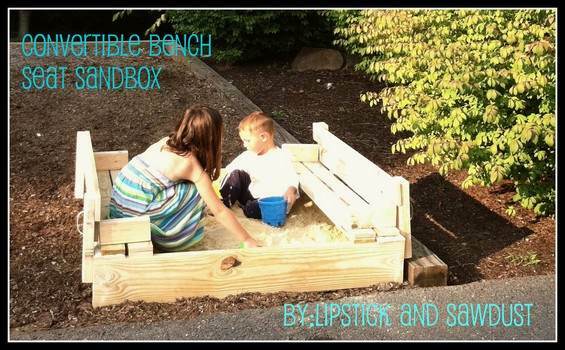 Build a sandbox out of all weather redwood that has a handy bench with under the seat storage. 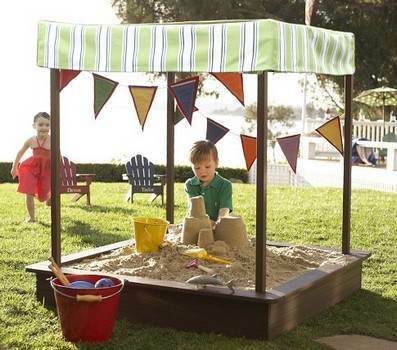 Here are five simple steps on how to build a strong sandbox for hours of backyard fun. 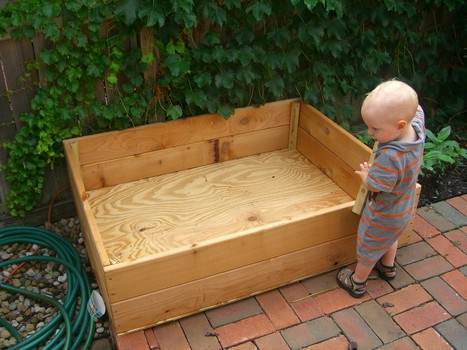 Building a wooden sandbox with seating is easy and inexpensive when using this detailed plan. 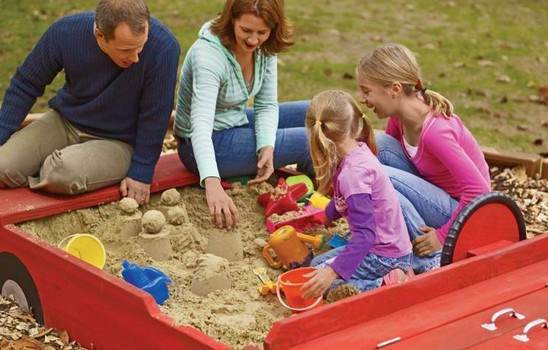 Build a sandbox in a weekend that looks like a car, has a bench seat, storage and a cover. 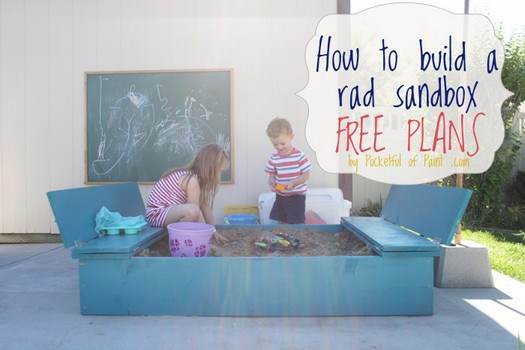 You are just a few steps away from building a backyard sandbox for you and your kids. 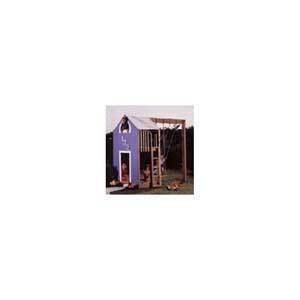 Build a sandbox with four wooden posts to support a top cover for a shady play area. Keep animals out using this simple plan for a box with benches that fold over for cover. 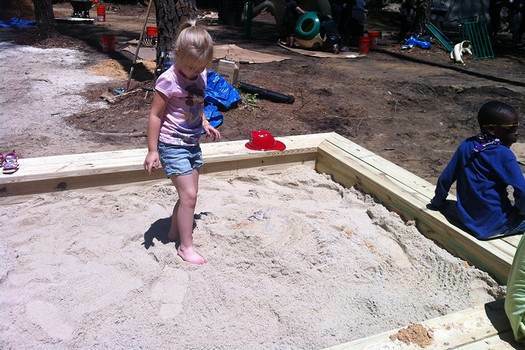 It's easy to make a large sandbox that will give kids hours of outdoor fun and imagination. 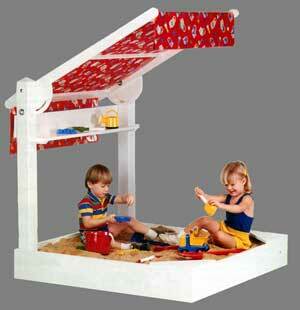 This good looking sandbox has an attached deck that folds over for a weatherproof cover.